Panch meaning five and ishti means Yagna. As per legends, there was a 'Yatchan' (demon king) called Sukethu, who was cursed by Lord Subramanya to be born as an Asura, for showing his arrogance towards Shiva and Parvathy. Sukethu later married an Asura woman and gave birth to three boys. These boys who came to know about the curse of the father, did a penance towards Goddess Parvathi and became powerful. They then started teasing the devas with their strength. Devas then went and complained to Lord Shiva. Lord Shiva directed Sage Agastiyar to teach a lesson to Sukethu. Meanwhile Sukethu after losing a battle with three asuras went and hid under the sea. Sukethu's sons went in search of his father deep into the thus destroying the sea lives and creating a lot of commotion. Sage Agastiyar to curb the mischievous sons of Sukethu, drank all the sea thus trapping the three sons and Sukethu in his stomach. The earth became dry and Devas pleaded to restore the sea. 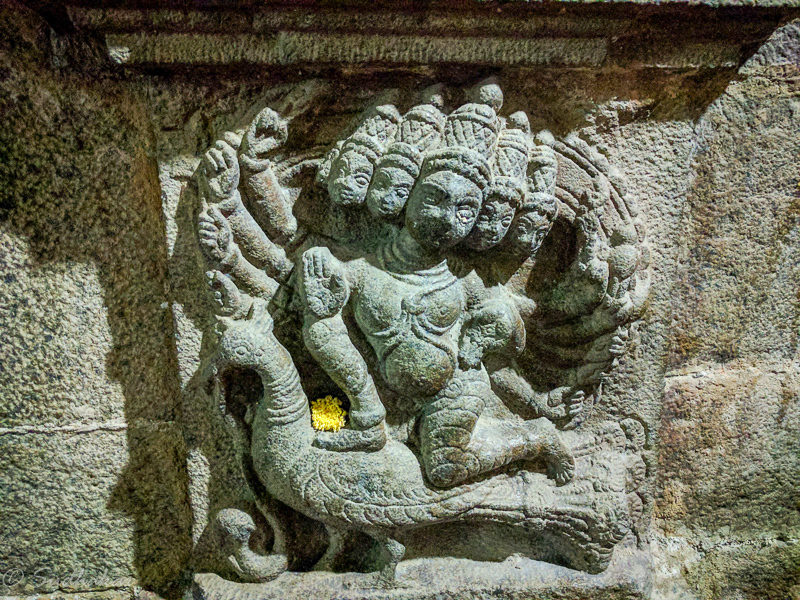 Sage Agastya restored the sea by spitting the sea back in its place.He also spat some remaining water in his mouth in Pancheshti and the pond here in the temple is known as 'Agasthya Theertham'. Sukethu and his sons pleaded to Sage Agasthya to pardon them and releive them of their curse. To get him relieved of the curse, Sage Agasthiyar performed about 5 yagnas called Deva Yaagam, Brahma Yaagam, Bhootha Yaagam, Pithur Yaagam and Manusha Yaagam here. Hence this place got its name Pancha Ishti which later became as Pancheshti and now colloquially called Panchetti. The temple though not very big, it is beautifully constructed with a five tier Rajagopuram. This was built during Vijayanagar empire by the Chandragiri clan. The main deity Agatheeswarar is in Linga form is a Swayambhu (self evolved), which was said to be in existence even before Sage Agasthiyar visited here. 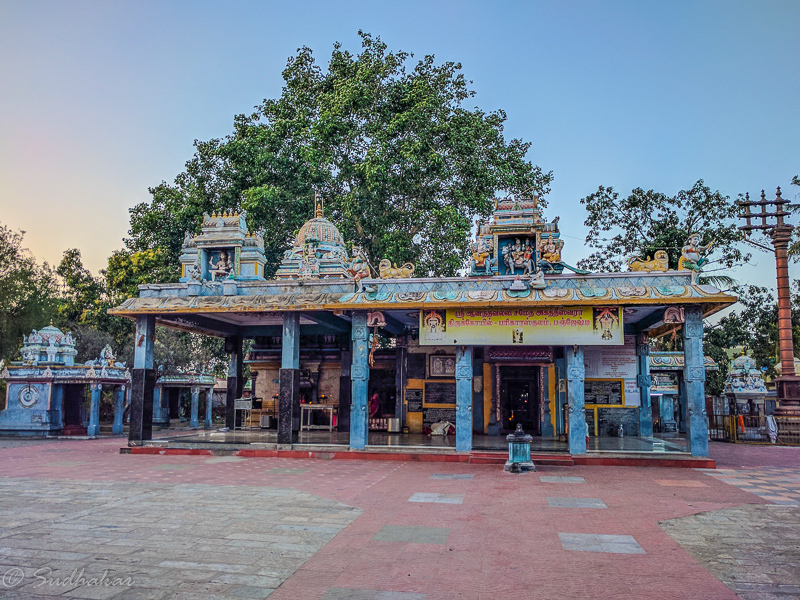 As Agasthiyar worshipped here, the Lord here is called as Sri Agatheeswarar. Moolavar Agatheeswarar is seen facing the east. 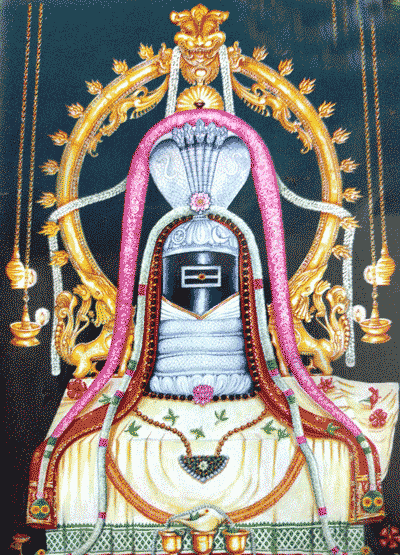 The Goddess here is ambal Sri Anandhavalli, who is seen in standing posture facing south. She is made of 'Margatham stone' (Emerald) and is three eyed and considered powerful. She has her left foot forward depicting that she is the destroyer of evil 'Chathru Samhaari' . It is beleived that worshipping her eliminates all the evil forces and hurdles in devotees' life. Sage Agasthiyar had installed a Maha Yantra in front of the Goddess to pacify her anger. Abishekams are performed to this Yantra on Tuesdays and Fridays and also poojas performed during Rahu Kaalams. Though the main deity is Shiva more importance is given to Ambaal Anandavalli. 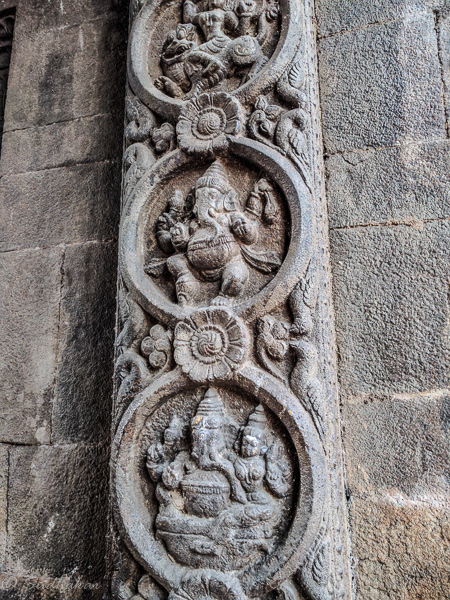 The sculptures in the Raaja Gopuram face the Ambaal. 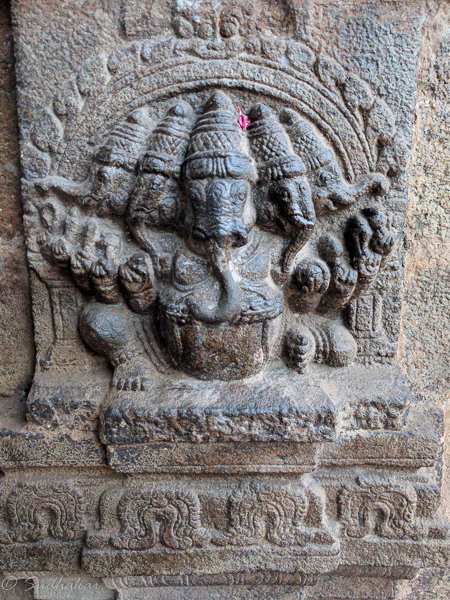 The Navagrahas sculpted on the other side face towards Ambaal. 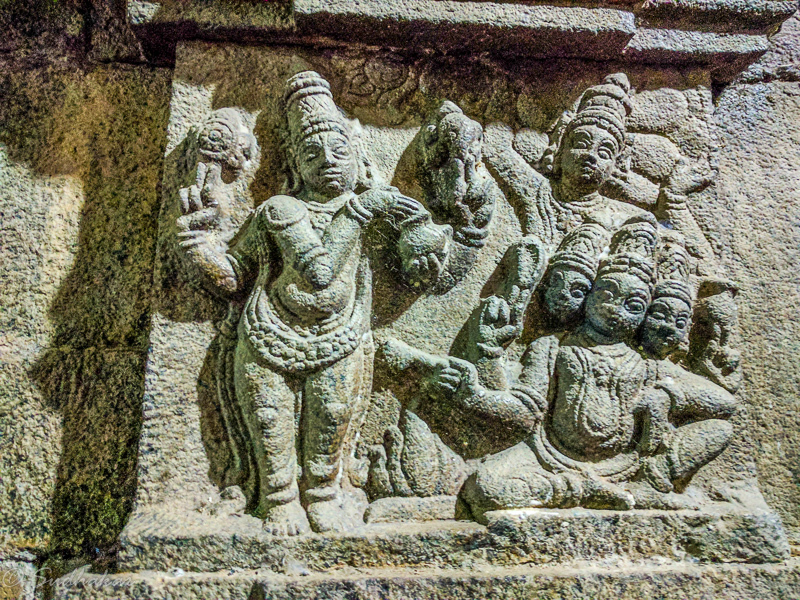 Lord Saneeshwara is seen with Eagle as his Vahanaa instead of crow. 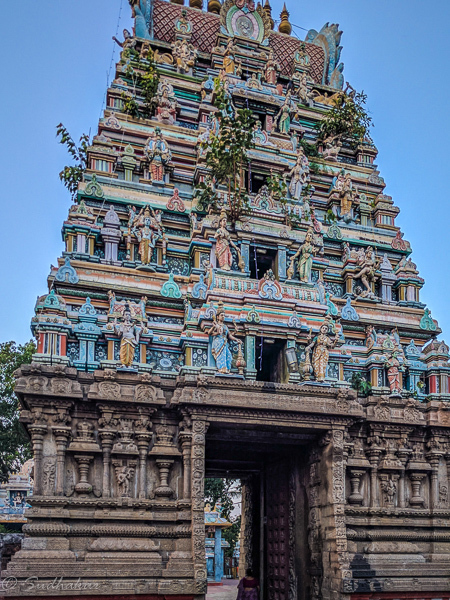 The walls of Raja Gopuram of this temple, carries numerous sculptures which are beautifully carved.The entire walls of Raja Gopuram, have sculptures connected to incidents from all the four Yugas (Kretha yugam,Thretha yugam,Dwapara yugam and Kali yugam).There are also many sculptures about Vaishnavite Gods and puranas indicating the saiva Vaishnava equality. As per Hindu beleif, any temple facing the South is called Parihaara Sthalam,(remedies your problems and woes). Performing annadhaanam (feeding the poor) here is considered most auspicious and believed that it will give back the lost possessions,positions and will help attain salvation. Lighting the ghee lamp here removes sins. Pradosham,Pournami (full moon),Sivarathiri,Pankuni Uthram,Vaikasi Visakam and Mahasivarathiri in the Krishna Paksha every year on the month of Masi or Phalguna are very auspiciously celeberated. 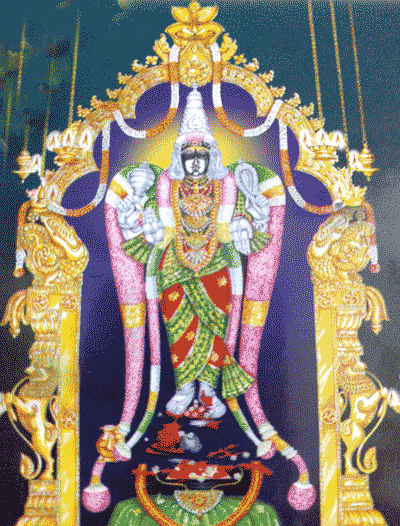 Temple location It is located 30 kms north of Chennai off Kolkatta highways past Redhills and Karanodai.